Kyle Eaton is a filmmaker based in Portland, OR. An Oregon native, Kyle graduated from Montana State University with his bachelor of arts in film and theater. After several years in Los Angeles, working in film and tv production, Eaton returned to his home state and continued directing and producing commercials, web series, music videos, documentaries and short films. 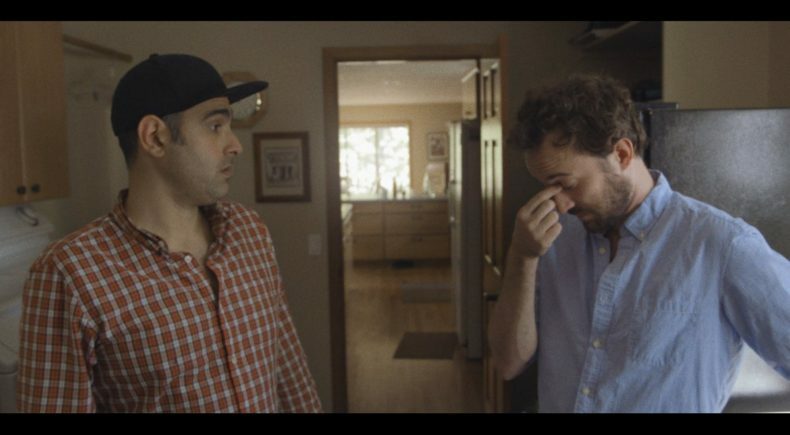 His short film "Taco Night" won the Audience Choice award at the 41st Northwest Filmmakers' Festival, as well as Best Comedy at the Oregon Independent Film Festival. "Shut Up Anthony" is his feature directorial debut. Many things inspired "Shut Up Anthony." The narrative came from a lot of my own experiences and relationships from over the years. Although the three main characters have different ideologies and world views, I really do identify with each of them. Anthony, Tim and Sam have their own separate demons that they’re wrestling with, and that’s what makes them feel real to me. In terms of tone, I’ve always been drawn to narratives that capture high stake emotions in real life situations. We joked that the film’s events are momentous to each of the characters, but still, the drama of what’s actually happening to them would never make the nightly news. I was also inspired to build a film around Robert D’Esposito and Jon Titterington. These guys are some of my best friends and also my creative partners. I was confident that they would have a strong on camera dynamic. When we found Katie Michels, I knew that we had something special between the three of them. Lastly, Robert and I both lost people that were very close to us, so it felt right to incorporate these feelings of loss and grief. We wanted to get these emotions across believably, to connect with people who have had similar experiences, and to hopefully make them laugh as well. Director KYLE EATON will be available for Q&A following both screenings.